Where these YOUR PTSD C&P Exam Results? A recent single-judge Court case (May 2013) gives us some ideas how to avoid – and possibly fix – bad PTSD C&P Exam Results. Here is how things went south in this Veteran’s PTSD Claim – it all started with bad PTSD C&P Exam Results. In May 2008, a Navy Veteran with 10 years of exemplary service is directed for a psychological exam by his command after a series of alleged disciplinary issues. After a 7 hr exam by a Navy Psychologist, the sailor was diagnosed with an Adjustment Disorder, and was administratively discharged from the military. Fast forward to November 2008 – the Vet files a claim for service connection of the adjustment disorder. 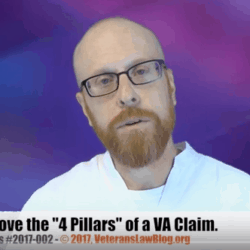 In the course of that claim, the VA sends the Veteran to what appears to be a diagnostic Compensation and Pension (C&P) Exam. What kind of PTSD C&P Exam results did the Veteran have? The VA C&P examiner skimmed over the C-File, and snidely opined that the Veteran did not have an adjustment disorder, and that what he experienced in service was just “normal issues that individuals go through”. As a result of this opinion, the VA Regional Office denied the claim for lack of a diagnosed disability. [Author’s note: If I had a nickel for every time a VA C&P Examiners made a dismissive comment like this about a mental health condition, I’d have enough nickels to get 10 hours of counseling to deal with the anger I feel when people devalue mental health conditions]. The BVA added insult to injury by continuing the denial, without addressing the medical diagnosis that the Veteran rec’d from the Navy Psychologist. This is the CAVC stepped in. You Are Going to Have to Fix Bad PTSD C&P Exam Results. The VA is not going to fix bad PTSD C&P Exam results. And with abysmal rates of remand from Veterans Law Judges at the BVA, it’s likely not going to happen there. Step #1: Prevention is the Best Solution. Most Veterans websites give some pretty crappy advice to Veterans going in for PTSD C&P Exams. They say things like: don’t shower, don’t shave, weary messy clothes and tell the doc about the nightmares you are having. Crappy advice will give you crappy PTSD C&P Exam results. There are concrete steps you can follow to prepare for a C&P Exam. And I mean REALLY prepare – the way I teach my clients to prepare. 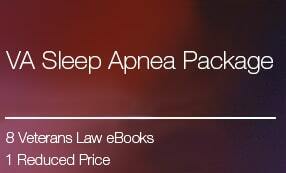 Here is the first in a 3 part series of posts about preparing for your C&P Exam. And sign up here to find out when I am releasing another Field Manual teaching you how to fully prepare for your C&P Exam. Step #2: Counter with an Independent Medical Exam Opinion. If you get the PTSD C&P Exam Results BEFORE the Decision, consider this option. Seek out a private medical examiner to counter the VA doctor’s opinion. It’s not enough to get a different opinion. 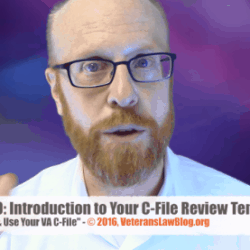 The opinion you get has to review not only your PTSD C&P Exam results, but also your entire C-File, and make a cogent and supported explanation why the VA PTSD Examiner got it wrong. So to take this approach, you are going to need 2 things: a copy of your C-File and a copy of your PTSD C&P Exam results. I hope you followed my suggesting and got a copy of your C-File BEFORE you went to the C&P Exam…but if not, now is a good time to get it. 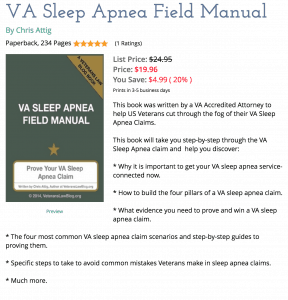 After all, if you are going to OWN your VA Claim, you ought to know exactly WHAT you own, right? Click here to find out how to get a copy of your PTSD C&P Exam Results and find out what is in your C&P Exam report. Step #3: File a Notice of Disagreement. This post started with the story of how the Court took action to fix the problems in a Veteran’s PTSD claim. For that Veteran to get to Court, he had to file an appeal, and work his way through the VA Claims Process. The first step in appealing an adverse VA Ratings Decision is filing the Notice of Disagreement. Take your time – and do it right. 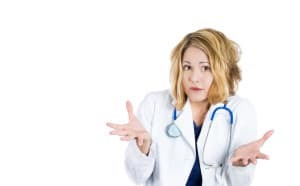 Be sure to challenge the credentials of the PTSD C&P Examiner, and be sure to challenge the adequacy of the exam – click here and I will give you some important language to put in your Notice of Disagreement.